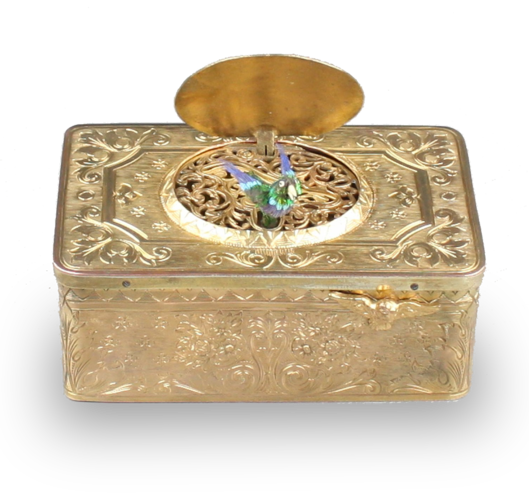 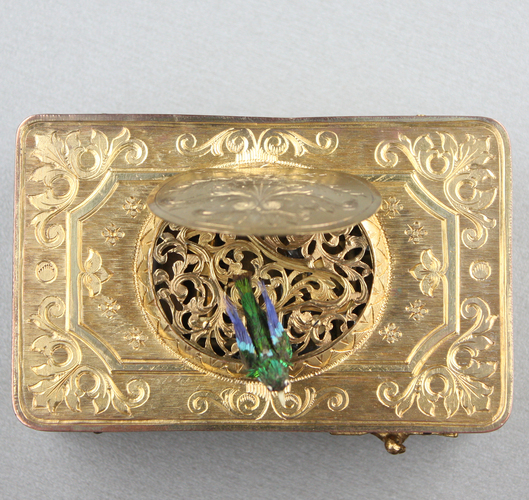 When wound and actuated by sliding bird-form button to the right, the bird rises through widely pierced and chased gilt grille, moving bone beak, wings and body from side-to-side to continuous synchronised birdsong. 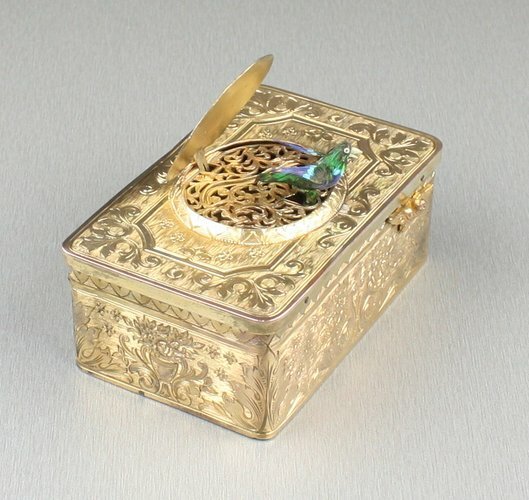 The bird with premier striped plumage in dark blue, turquoise and light brown, secondary wide applied green iridescent highlights, matt buff finished lid interior, in superbly rich-toned tooled and chased gilt case with bird lid having flowering trumpet urn, main lid and all sides with geometric scrolls, leaves and rose heads, simplistic mitre frieze to top edge, further chasing to underside, finely detailed bird-form start/stop button to front-right. 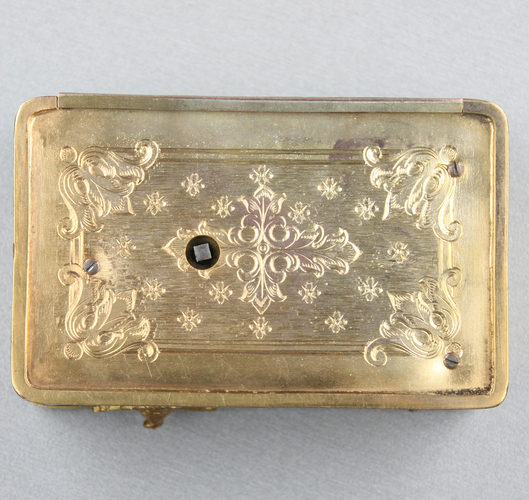 This is a very good example of tooled decoration undertaken correctly. 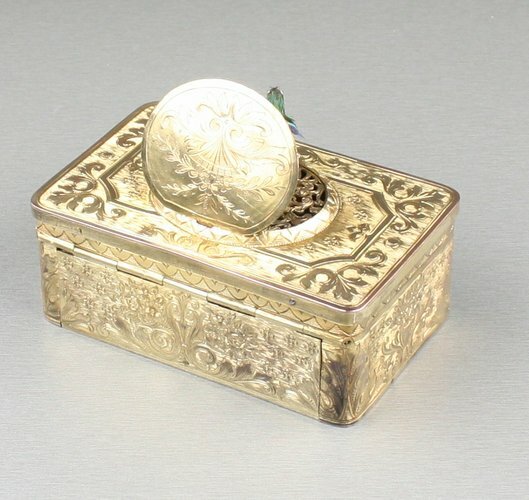 To achieve this two-tone effect when one moves the box in a circular motion, the caseworker would have used a chevron-pointed blade working all deeper insets in one direction, completeing the box with the shallow scrollwork in the opposite direction. 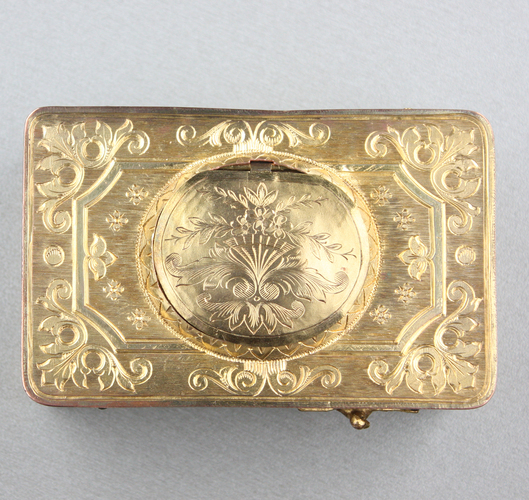 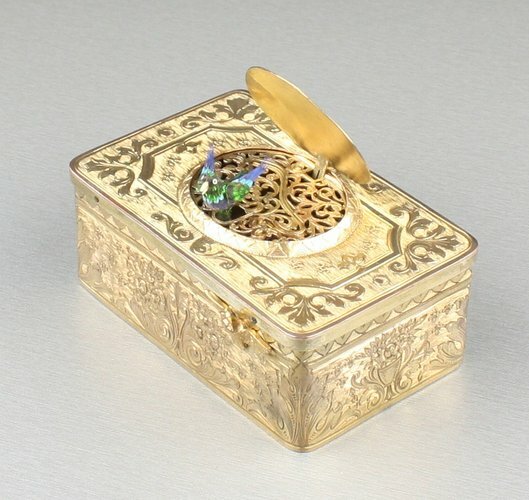 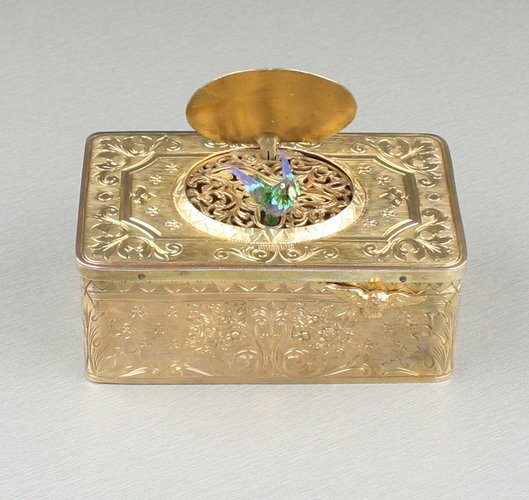 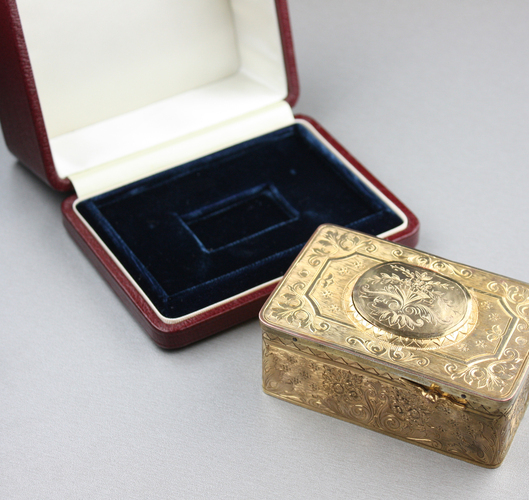 A very crisp and skillful method of presenting a gilt metal box.